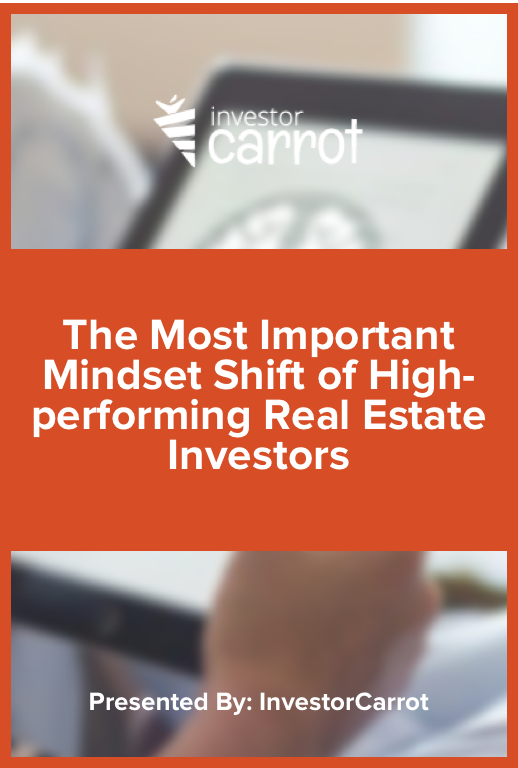 Claiming that one single solitary mindset shift is what makes the difference between those who succeed in real estate and those who don’t is an ambitious claim. Could there really only be one difference between the people who win and the people who lose? Plus, a whole slew of other unforeseeable events can either derail your business or turn it into a thriving money-maker. When it comes down to it, if we’re being honest, a large part of building a successful business is cold, hard luck. Did you start at the right time? Did you launch your business in the right market? Did you have someone willing to teach you? But, that’s not what you came to hear. You want to find out how you can ensure that your business will succeed despite all of the unpredictable and often frightening events that can destroy a growing business. You don’t want to know what you can’t control, but what you can control. However, you can’t really understand what makes the difference between those who succeed and those who don’t unless you first accept that you can’t control a whole lot of what goes into building a business. But here’s the dead-simple thing you can control – and if you learn to, it practically guarantees your success, despite being lucky or unlucky. Clichés aside, the way that you think won’t only impact whether you succeed or not, it will completely make that decision! That’s what we cover in this guide. Learn the dead-simple difference between those who build thriving businesses and those who never fulfill their dreams or goals.